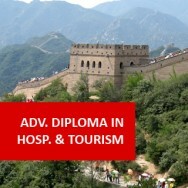 Hospitality Courses at ADL - Hotel Management Jun 03, 2014 Thinking of doing a hospitality course? Today we take a look at ADL’s Hotel Management course, an ideal distance learning programme for those lookin..
Food and Beverage Management - Get a course and get cooking! Aug 22, 2014 Everyone loves a good meal. 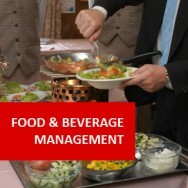 That’s why catering and food management is the cornerstone of the entire hospitality industry. Before beds, before..
( Nadege minka, 16/01/2014 ) Q: Is it an online course? when do i start? ( 20/01/2014 ) A: Hello Nadege, This is an online course and you can start whenever you wish. 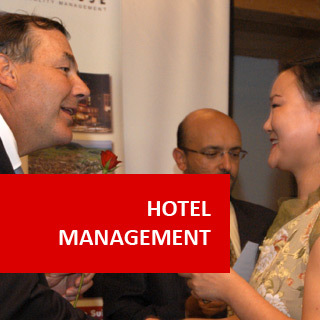 Hotel Management course online. This course aims to help you take the next step up in your hospitality career into hotel management and expand your current skills. Whether you are looking for a course to enhance your promotion prospects, or improve your current hotel management skills, this course can help you achieve your goals! Hotel Management positions, including those for assistant hotel manager pay a salary of around £20,000 to £30,000 per anum. As in all hospitality sectors, hotel management positions attract many applicants, so only those who have the skills and attributes employers are looking for, will even make it to interview stage. Managing the booking system and internet bookings etc. Setting budgets, achieve targets and set up long term strategic plans for the hotel. 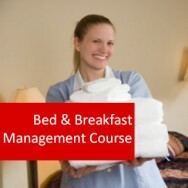 In this online hotel management course, you will learn about all aspects of managing a hotel and the sections within it. You will discover how to organise staff to work efficiently and effectively as a team, learn about managing areas such as foods service, front desk, building & maintenance, servicing rooms, activities and staff. 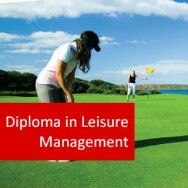 This is a very solid and worthwhile course for anyone in the hotel industry. If you would like to develop in-depth skills in how to motivate others, why not also look at our Motivation course? For gaining comprehensive leadership skills, you can also complete our Leadership course. And for learning how to deal efficiently with areas of conflict, there is our Conflict Management program. If you are interested in being able to organise events at a hotel you manage, or want to be able to offer a potential employer something that little bit different, we also have Event Management and Wedding Planning Courses. All these additional course will make you a better and multi-skilled hotel manager, which should in turn help you stand out from other people applying for the same position as you. If you take Hotel Management, Motivation, Leadership and Conflict Management together and pay in full, you can get 25% off the normal course fee and receive an Advanced Certificate in Hotel Management. That means you will get one of the courses absolutely FREE of charge! By taking all six courses: Hotel Management, Motivation, Leadership, Conflict Management, Event Management and Wedding Planning., you can gain a Diploma in Hotel Management and Event Planning. You can take the courses one at a time, or pay for all six upfront and save 25%. That's like getting all six for the price of 4.5! 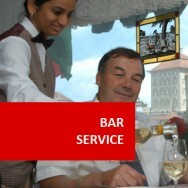 Resorts, hotels and motels around the world require a large pool of hotel management and hospitality staff. Hotel management provides an interesting and challenging career where you can have the opportunity to work in any country in the world. This course transcends borders and continents because the knowledge and skills required for hotel management is truly universal. To understand management structures and the way in which the workplace is organised. Identify factors that contribute to or inhibit successful management of staff. Linen - Purchase or Hire? Interview a manager or senior staff at a local hotel to inquire about their set up and structured policies. Find out about the organisational structure of either one department of the hotel, or the whole hotel. Observe how managers give direction/orders/requests to staff. Discuss the procedures which should be followed when creating and maintaining a budgetary control system. Observe and evaluate the Front Desk management of a selected hotel, commenting on the style of communication used, efficiency of the staff and your suggestions for improvement. Discuss room service and room standards (i.e. cleanliness, etc.) in hotels and other guest accommodation, with three different colleagues or friends to identify areas of concern. Visit a hotel in order to develop a checklist for conducting maintenance inspections. Compare the different food services (including range/scope of services, times of service, types of food and beverage, prices, and quality of serviced) at three hotels in the same area. If paying in 2 parts, the first part is paid on enrollment, and the second part two months later (You are sent a bill when you enroll).